September always seems to go incredible fast. 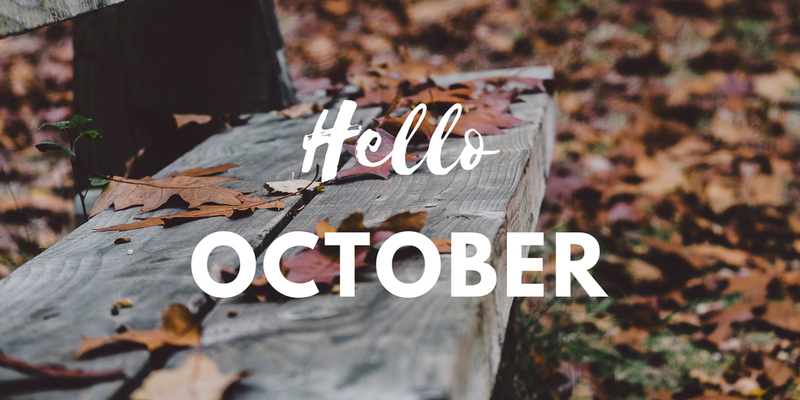 Now we have reached October - which means we are officially in autumn - the best season of them all! As always, I wanted to start the month on a positive note by listing all the things we have to look forward to this month! Here are my 10 reasons to love October..
Pumpkins ... all things pumpkin flavoured, pies, soup and even cupcakes!